A decade or so ago, even unknown authors often found themselves on publisher-funded promotional tours. Bookstores worked overtime to keep up with busy schedules of reading/signing events for authors passing through town. Those days are gone but we can now console ourselves with podcasts. 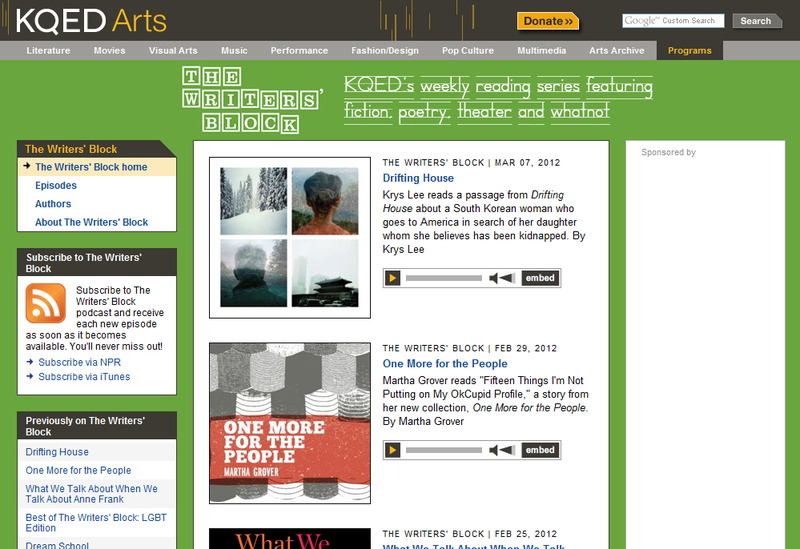 Hear the voices of contemporary authors of both fiction and non-fiction at The Writers' Block, an impressive series of podcasts put out by KQED, San Francisco's NPR/PBS outlet. Writers can also submit their own work to the series. 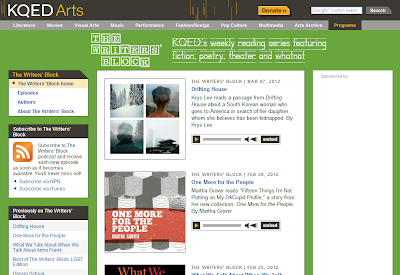 The focus is on younger writers so you're likely to encounter some new, interesting voices.